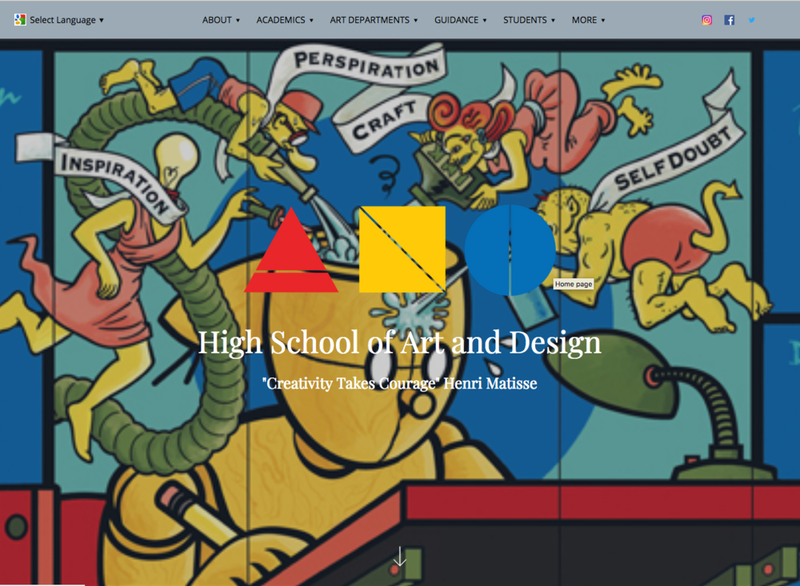 When the High School of Art & Design in New York City needed to update their school website, they knew they needed to have a platform that would let them build a site as special as their school. To meet the expectations of their community and attract prospective families, their new school website would need to be beautiful as well as informative. The High School of Art & Design is one of the most venerable institutions in the New York City Department of Education. Founded in 1936, the school has been focused on the arts since the beginning. “Our program started long before today’s emphasis on small, specialized high schools in New York City,” says Mr. Ureña, the Principal at the school. Students have to audition to get in and selection is highly competitive. The Reprise theme takes advantage of the bold images from the school. The school chose the Reprise theme for its bold use of pictures and clean, simple design. “It fits us. There is no clutter there—everything is laid out nicely and easy to find,” Mr. Ureña said. He also appreciates how easy it is to keep updated. His assistant, John Brinegar, has found it to be easy to maintain without requiring any technical background in website development. Below the fold, important information is organized and displayed attractively. "The Envy of the District"
Individual departments, like Cartooning, use their pages to highlight their offerings. The Film & Video department uses their page to highlight recent student work.